When you go to Wikipedia and look up Labor Day, you’ll find yourself reading a lot of “blah, blah, blahs”. What is this holiday is all about? In short, it was about how a bunch of American workers simply got fed up with unfair labor situations (and significantly lost wages) and decided to go on strike for their rights. After about a week of this strike, they got what they wanted and a national holiday to recognize the true value in the labor force. Think about it: Would you be able to stand up for your own unfair labor situation? It’s really about fairness, happiness, and moral/ethical obligations. No matter where you happen to live in the world, you realize how important these attributes are in any workplace. The meaning of this holiday this year seems to reach beyond just an old American tradition; it seems to have more significance in the entire global workforce. Labor Day is the day that we are focusing on societal working conditions. So, what are your working conditions like? Do you work too many hours for too little in return? Are you getting the credit for all the work that you do? Are you happy with whatever it is that you do? Life is too short to answer unfavorably to any of those questions. Write down a few things you want to be different by NEXT Labor Day. In the spotlight today is Virtual Assistant Shalon Ironroad, Human Swiss Army Knife. This weekend, I was invited to a presentation about a “Work from Home Opportunity” for stay-at-home moms (sound familiar?). I am hugely skeptical about any kind of “opportunity”, so I got the URL prior to the presentation so I could do my homework. My findings were my inspiration for this post. I was told that the goal of the company was to help young moms make money from home. With that information, I expected to see a website that was professional, fun, and appealing to Gen X mommies. Not so much. The website was a standard sales page (white background, blue text, cheesy graphics), with broken links and typos. I was turned off immediately. While this is an extreme example, it got me thinking about the message we project through our websites. In the offline world, it has been proven that the bulk of our communication is non-verbal. How does that translate to the online world, where most of what we see is written text? The overall feeling you get within the first 3 seconds on a website is that non-verbal aspect, and it can either help businesses or hurt them. Is your website too cluttered? Is it too simple? Go to your website on your computer, then take 5 steps back. From a distance, where does your eye go? Is there a focal point, or does your eye wander? Now figuratively step back and look at your business. If your message and your personality is simple and clean, make sure your site reflects that. Take a look at your color scheme. Now think about your personality. Now your color scheme. Now personality. (sorry…just thinking about the Old Spice guy) If your personality is more subdued and mellow, don’t use hot pink or neon yellow on your website. People will be confused! Instead, go with softer tones like pastels. Same goes for you more outgoing and bubbly ones. Using black and all neutral/muted tones does not automatically make you look professional. Be yourself, and your clients will love you for it. There is a common myth that all graphics have to be flashy and complex (and expensive). Wrong. Think about your personality and what you want people to know about you, then work those pieces into your graphics, especially your logo and header. Symbolism is fun…get creative! When a client calls you for the first time, wouldn’t it be great if he/she felt like it was a continuation of a previous conversation? This is do-able if you use your own voice on your website (and in social media). If you’re not used to writing this way, record yourself speaking, then transcribe the recording word for word. I guarantee your clients will feel more comfortable during that initial phone call! The web is full of some really cool (and free!) ways to add energy and movement to your website. You want the energy level to reflect the same energy level you naturally have. This helps people get to know you before they even meet you. YouTube videos are always fantastic, or try checking out Widgetbox. For more tips, tricks, tools, or just to get to know me better, visit my blog or my business website. Wishing you the very best in your Work at Home Life! Due to the overwhelming number of submissions to become a guest blogger for “It’s a Work at Home Life” (which we sincerely appreciate! ), we are not going to conduct phone interviews as we initially planned. In response to your requests, we are verifying your business validity and sending out invitations to the verified entrepreneurs to be contributors to our blog. We are setting up a tentative schedule and working hard to make sure that you all have the opportunity to share the spotlight on our blog. Now is the time to contact us about guest posting on “It’s a Work at Home Life” if you haven’t already. The schedule is filling up fast so if the date chosen for your post doesn’t work for you, please contact us as soon as possible so that another virtual assistant can take your place and you get a new date as well. We already have every Tuesday and Thursday booked through the end of October! And there are more messages sent to VA’s for more information about their business. For the quality of our blog, we are not going to invite more than one person to guest blog on a given day. We are sending invitations through WordPress for contributors. With a contributor status you may write a post, but an administrator will need to publish it for you. Contributors cannot accidentally delete published posts or work on anything outside of the post they are working on. This will be the perfect place to start. We strive to keep high quality content. The goal is to write an article that will add value to the reader’s work week. This is all about balancing business, technology, and personal life while you work at home. We are very protective of our professional reputations so please review the basic rules about contributing to this blog. Content that is inappropriate or completely irrelevant to this blog will not be published. So if you are unsure of the topic or details you have included, please ask one of us. 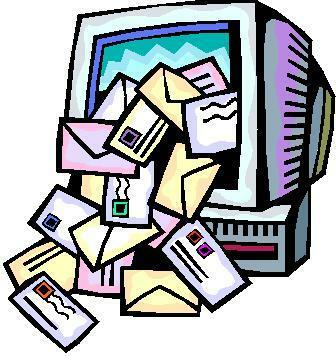 Currently we are only sending out one-time invitations to write to hundreds of other virtual business owners. This could lead to more invitations to write for us or other blogs. What do you want the virtual business world to know about you? How are you going to represent your expertise and your business? May I use myself as an example? You all know that I am a virtual IT assistant right? But what does that mean? A little under a year ago you wouldn’t have found any information if you looked up “IT assistant” on Wikipedia. I am proud to say that I contributed the IT_assistant page. When an employer puts out a classified ad for an IT assistant, you can find out what the skill requirements are for an IT assistant’s position. Even if you have never worked under that title, you may have experience to fit that job well. Not just anyone can go to Wikipedia and create a wiki page about how fantastically interesting they are. There are dozens of wiki articles deleted everyday because so many newbies want to sign up and use it as some kind of social media tool that grants them an opportunity to market themselves, create backlinks to their blogs, or to just get their name out there. It just is not what Wiki is for. I mean, it is social, but its not about networking its about information. Wiki is not the place to validate or establish yourself; the quality of your work will do that for you. Maybe someday you’ll have your place on Wiki, but for now, let’s use it for what it’s good for: information.